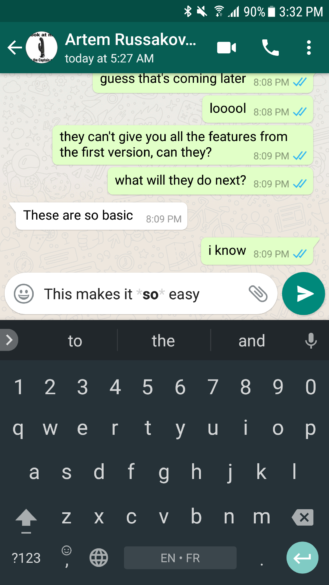 We're used to covering the big and the small WhatsApp features here, but there are two changes that we haven't mentioned yet that we keep getting tips about so we thought we'd let you know about them, in case you hadn't noticed them before. One is relatively old, the other is fairly new but has been on WhatsApp Web for a while, but both are equally handy improvements. Without further ado, let's check them out. First are the text selection toolbar actions for changing the font. 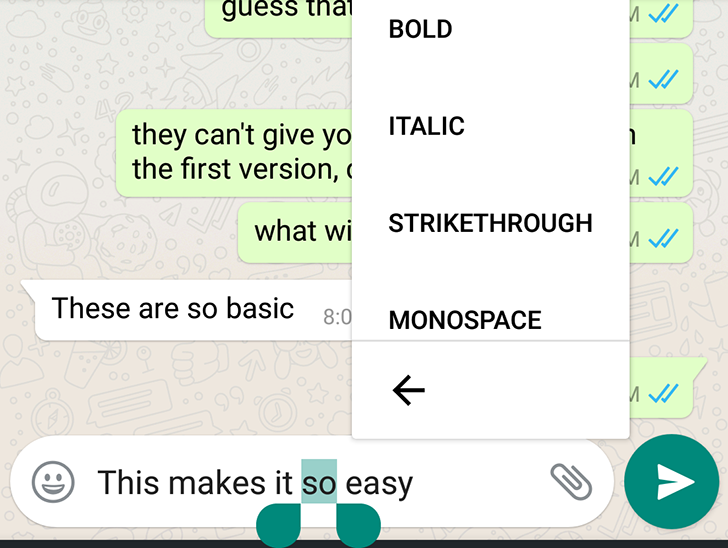 If you might recall, last year WhatsApp introduced bold, italic, and strikethrough fonts then it added a fixedsys monospace font as well. However, you had to remember the different triggers to apply these so not a lot of people knew about them or correctly recalled them when needed. Starting in April with WhatsApp 2.17.148, we noticed that the app was now using Android M's customizable floating text toolbar to let you change to the different font types. 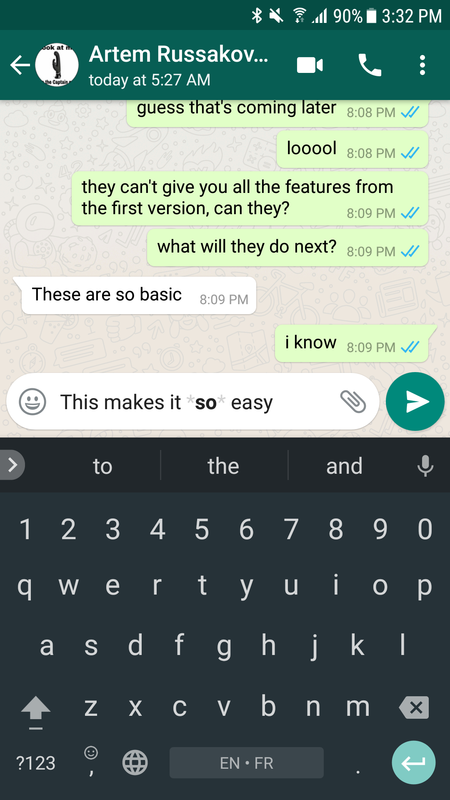 All you have to do is select the text you want to change, tap the overflow button (three dots) in the toolbar, and choose whether you want bold, italic, strikethrough, or monospace, and the correct character triggers will be applied automatically. That's one smart use of the floating text toolbar API. 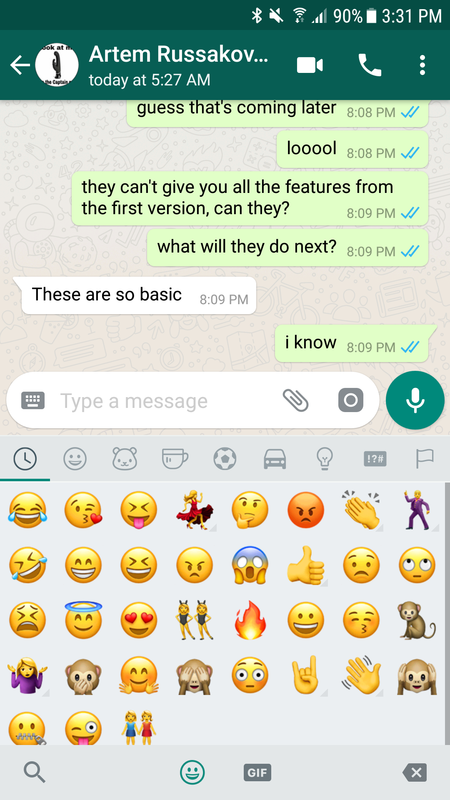 Second is the new emoji search option. 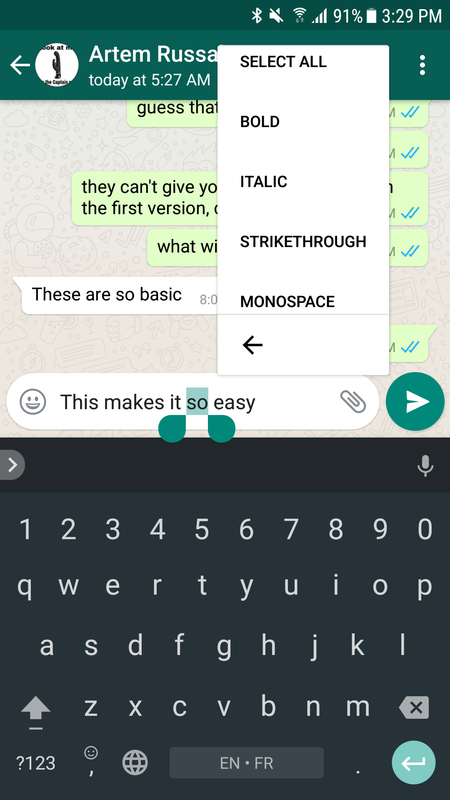 This has been showing in WhatsApp Web for several months, so it was only a matter of time before it made it to the Android app. It finally did a few days ago. And it does exactly what you think it should: find an emoji based on a word or few character searches. From my tests, it works well and surfaces the appropriate results. Maybe that'll stop me from hunting and pecking for emojis when I need something specific, and hopefully help me add a little variety in my emoji use instead of always going to my frequently used ones. 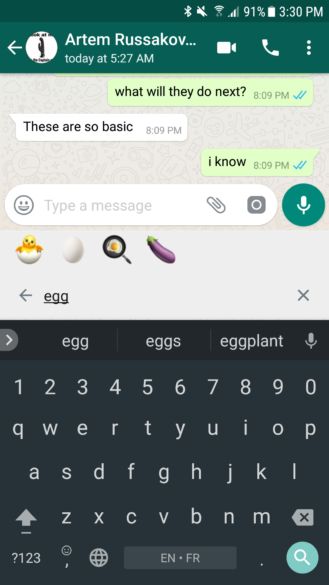 The emoji search icon is on the bottom left, and it works quite well. Both of these have been live for at least a few WhatsApp beta versions, so most of you likely have them already. But in case you don't, you can grab the latest beta from APK Mirror or by joining the official Play Store beta program and waiting for the app to update automatically.